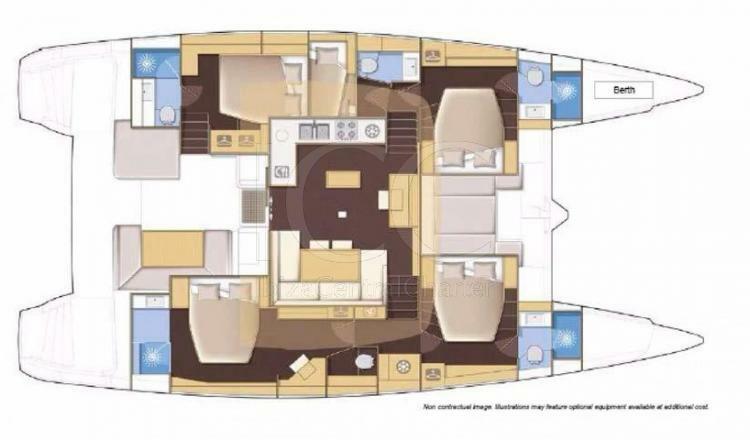 With capacity for 10 people, you will have at your disposal much more than a charter boat. 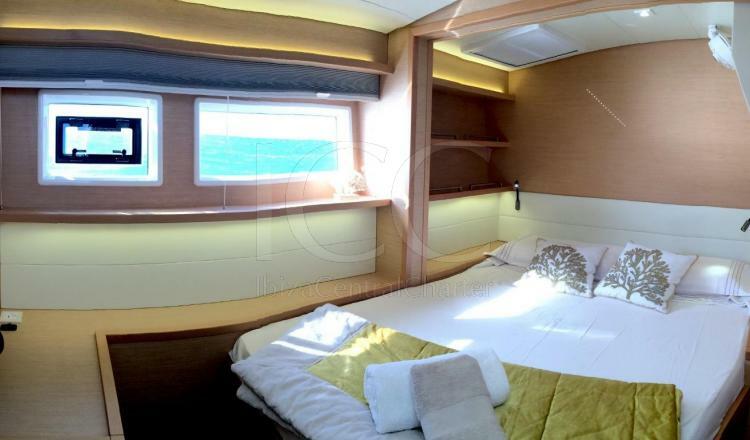 You will enjoy an authentic luxury floating apartment with unbeatable sea views. 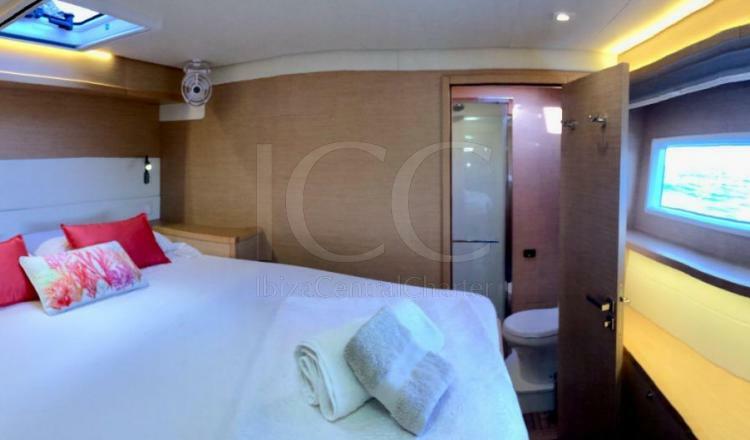 Without the narrowness of the typical rental sailboat, you will have a luxurious lounge with 360 degree panoramic views, with a large and comfortable dining table, surrounded by leather-lined sofas. 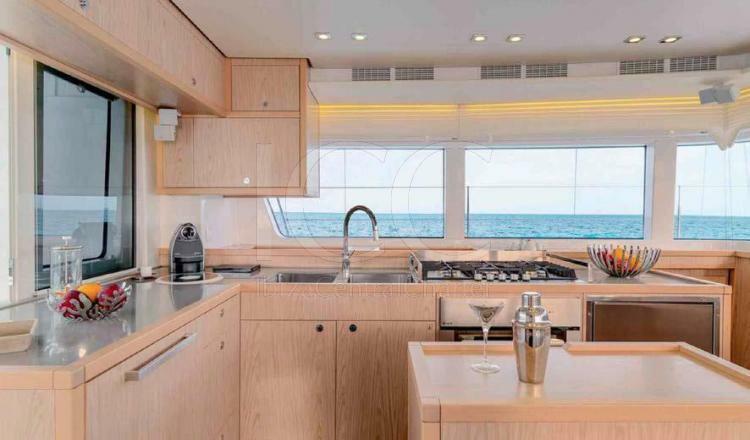 In front of the card table, there is a complete kitchen, with oven, refrigerator, freezer and burners to cook on this imposing charter boat as if you were in your own home. 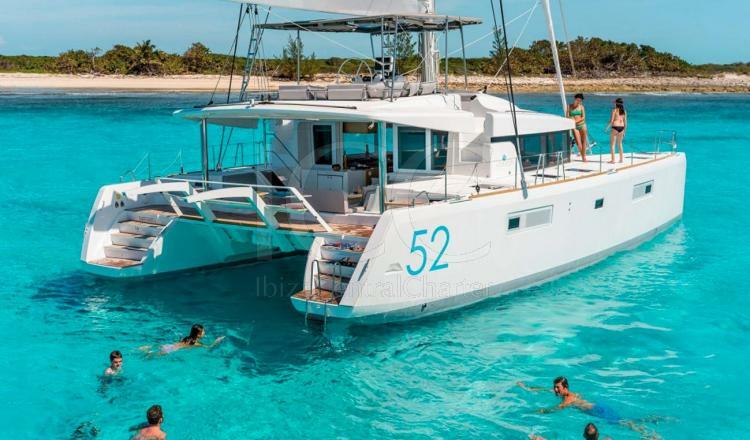 This catamaran has five private cabins plus a cabin for the skipper. 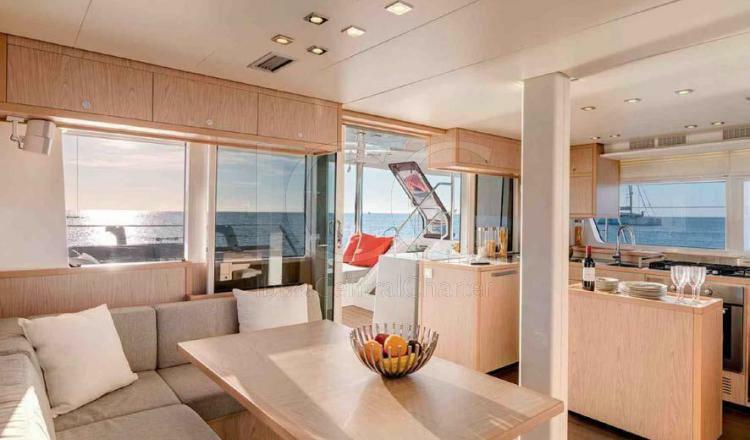 A spectacular exterior terrace aft with dining table where you can recover your strength to continue enjoying aboard this sumptuous boat while you sail around the Pitiusan Islands in the Balearic Islands. 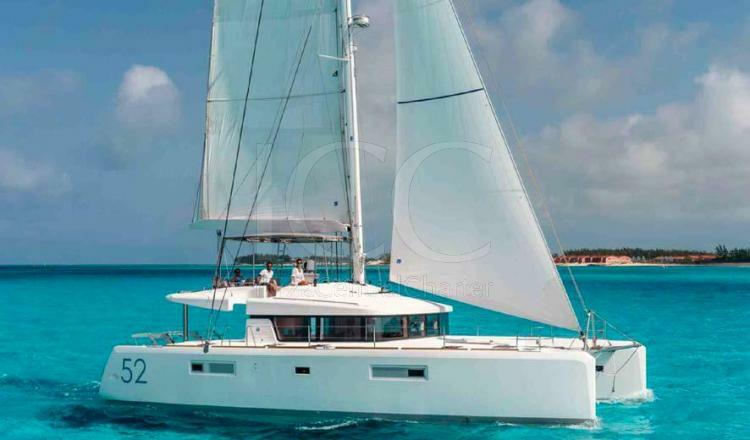 The upper deck of these last generation catamarans is rigid, unlike the older catamarans that have a canvas awning. 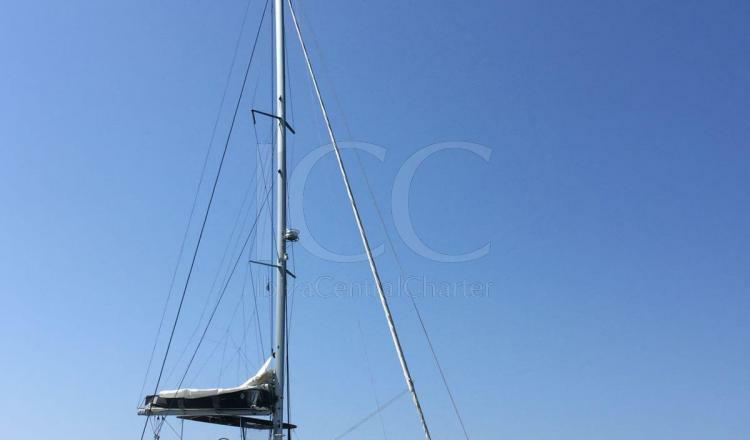 Therefore the rigid roof is ideal, not only to comfortably access the mainsail and the boom, but also serves as a solarium. 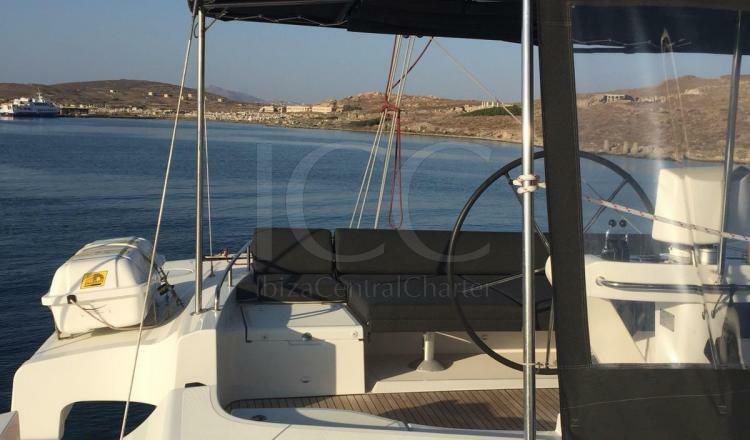 Catamarans are undoubtedly your best option to charter a sailing boat in Ibiza. 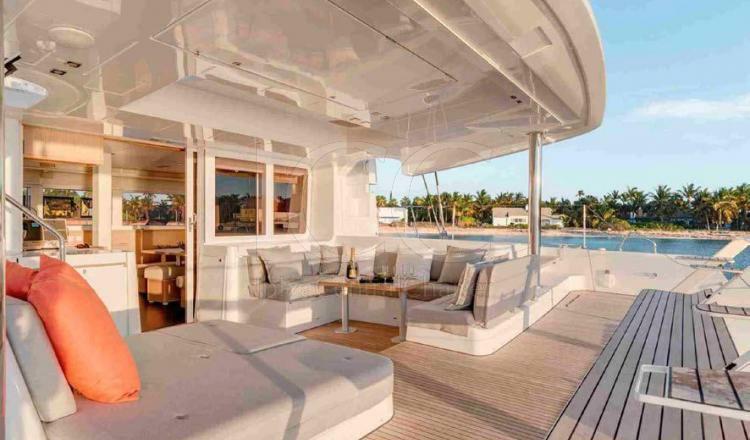 - Moorings not included in prices. The boat is anchored. - Embarkation in Ibiza at Blue Marlin beach Club (other embarkation spots available by request).